Multiple sclerosis affects people in very different ways, but often affects the way people move, their balance, and what they feel. This can affect how people stand and walk, and their ability to do activities of daily living. 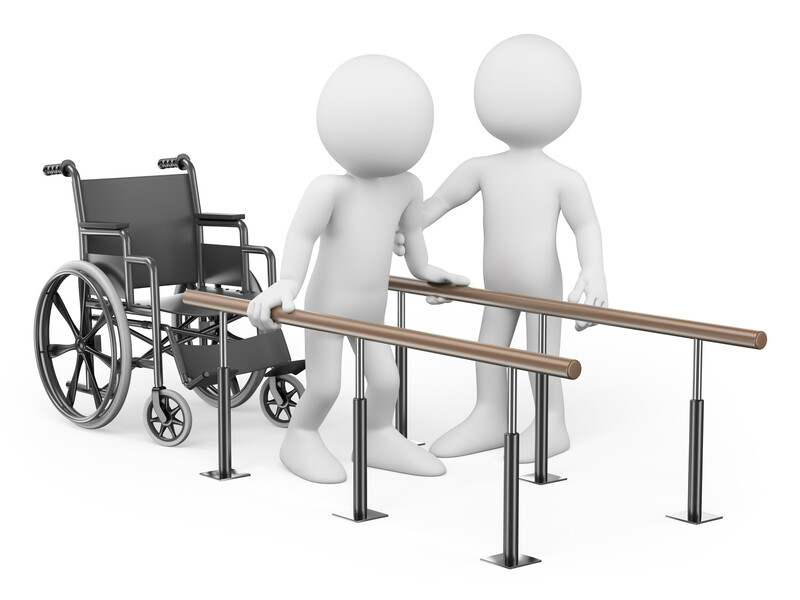 The physiotherapist will assess the abilities a person has and how they move. This will include looking at standing and sitting posture, how they get in and out of the sitting position, walking and balance. They will consider a person’s lifestyle and what they would like to achieve. They will then provide an individual exercise programme, stretching, give advice and demonstrate how to improve movement patterns, posture and walking. If required, physiotherapists may provide advice on aids and equipment to make moving about and walking easier and safer. They may also recommend referral to other professions. A wide range of equipment is used including toning table, gym balls, parallel bars and MotoMed bike. Mainly people with multiple sclerosis attend the centre, however people with other conditions are also welcome. Physiotherapy can be of benefit to a wide variety of conditions. The centre physiotherapist are specialised in neurological conditions. Physiotherapy is available in the NHS; usually this is for approximately a 6-week course. The Centre aims to provide physiotherapy for as long as the member feels it is necessary and supplements that which is available on the NHS. How to book a session? Reflexology is an ancient healing art which was first practised by the early Egyptian physicians over 4000 years ago. It is a method of stimulating reflex points in the feet or hands which correspond to every gland or organ in the body. Correct stimulation of reflex areas relieves stress and tension, deeply relaxing the whole body from head to toe. Reflexology can restore and maintain the bodies natural equilibrium and encourage the natural healing process. each side of the body, ending in each foot and running down the arms into the tips of the fingertips. entire zone throughout the body. It can release vital energy that may be blocked; this will revitalize and improve the functioning of the organs. is effective for a wide range of illnesses and conditions. Remedial Massage involves a process of increasing flexibility in limbs by relaxing tightened muscles and extending those that have become shortened. Over time limbs that are not used, due to pain in the joints, or other mobility issues can weaken. Constriction of the muscles and a shortening of tendons can often lead to periods of immobility. Tightened muscles may affect the circulation of blood leaving feelings of numbness and coldness. Remedial Massage may provide relief from these symptoms by enabling increased flexibility and strength in all muscles and limbs. The process should be gentle, but regular. A programme of exercise can be developed with the therapist for use between sessions. How to book a massage?